The Bianca Side Table is perfect for luxuriously accentuating your current modern or posh living space. 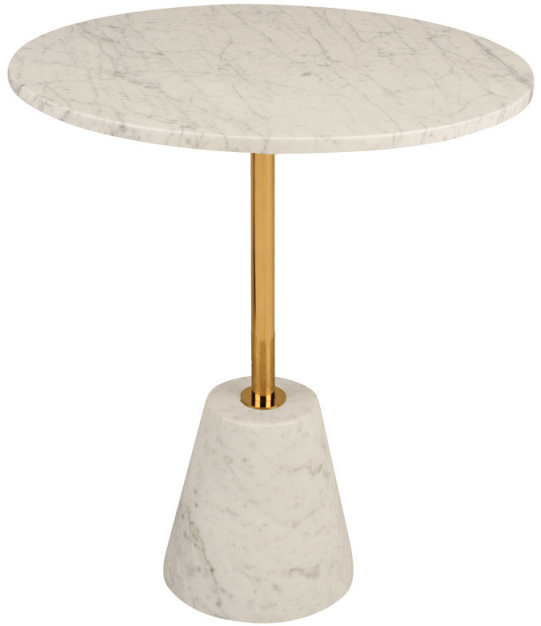 This chic side table is made using a solid white marble with grey veins cone-like shape base and circular tabletop. Connecting both pieces is a polished gold metal rod, giving the Bianca it’s elegant touch.